Aloha! 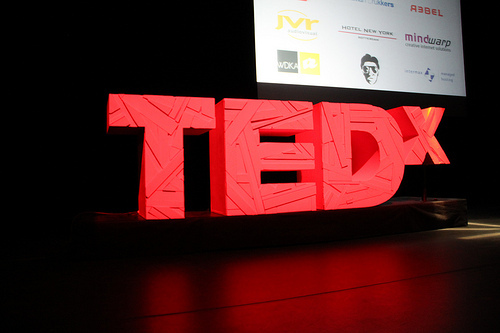 We are excited to announce that our license to hold a TEDx event on Maui has been accepted and approved by the wonderful people at TED. We feel it’s perfect timing for Maui to host an event of this nature. This is an extraordinary opportunity to bring the diverse wisdom, creativity, and inspiration of Maui Nui to the global stage. It is also an opportunity to foster a deep community spirit committed to innovation and collaboration. We look forward to sharing our progress with you here! In the meantime, please follow our feeds on Facebook and Twitter! I would love to get involved with your Maui event. Please let me know how I can help participate. I would also be interested in speaking and can help arrange speakers. I am a massive TED fan and am so happy to see it is coming to our island. Congratulations! Watching Ted Talks has become a much anticipated daily ritual. Let me know how I can help as well! I would love to volunteer for the TEDX event on Maui. I would also like to become involved – it fits in to our efforts to create a Maui Green Business Council.